We are ready to respond at a moment’s notice. than 200 experienced adjusters is ready to respond at a moment’s notice, in the event of catastrophic damage. manner, while cultivating a courteous, service-oriented relationship. All claims will be acknowledged within 24 hours of receipt. and thorough manner. Each claim will be treated on its individual merits. Prompt payment will be dispersed for all meritorious and undisputed claims. A clear and reasonable explanation of our position will be given on all claims closed by denial. Specific reference will be made to the insurance policy, the facts of the claim and the applicable law that forms the basis of the denial. We will communicate promptly with our customers and will respond to all telephone calls, letters and other correspondence in a timely manner to expedite the settlement of all claims. We are here to help guide you through every step of the claims process. 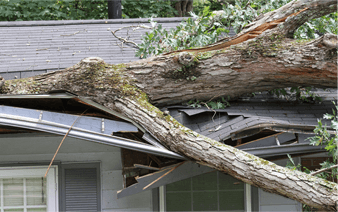 After reporting a claim, you will hear back from one of our professional adjusters within 24 hours. How long does it take? Most claims can be settled in less than 30 days. Claims that involve extensive damage may take longer. After a hurricane, there may be a delay, due to a greater demand for contractors, roofers, water damage specialists and others, to provide estimates. Please report your claim as soon as possible by contacting your agent, calling our toll-free number, 1-866-482-5246, or filling out our online form. After your claim is received, a representative will contact you to discuss the claim, and if required, schedule a date and time to inspect the loss. 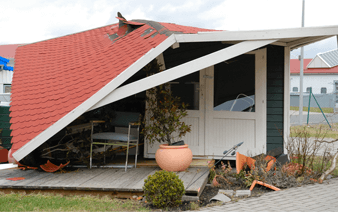 Once the adjuster has inspected the loss, collected your information, and reviewed any pertinent documents, a report is submitted for review. During the review process, the adjuster checks to verify that the policy includes appropriate coverage of the damages incurred. Finally, payment is issued less the applicable deductible. For certain types of loss, there may be coverage restrictions. If it is determined that the loss is not covered or if the damage is less than the deductible, you will receive a letter of explanation. to make sure your claim is handled quickly and efficiently. 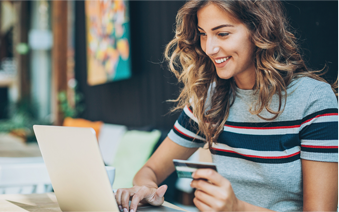 Payments are quick, easy and secure with our online payment platform. Please enter the Insured’s name as it appears on the policy. Only the first and last name of the Insured are needed. The information you enter must match exactly with what we have in our records. When disaster strikes, we will work with you throughout the entire claims process. We'll guide you through every step to ensure the quickest and most attentive service to settle your claim. Get the latest updates on your claim. We're committed to clear, open communication throughout the entire claims process, and to expediting the settling of your claim.